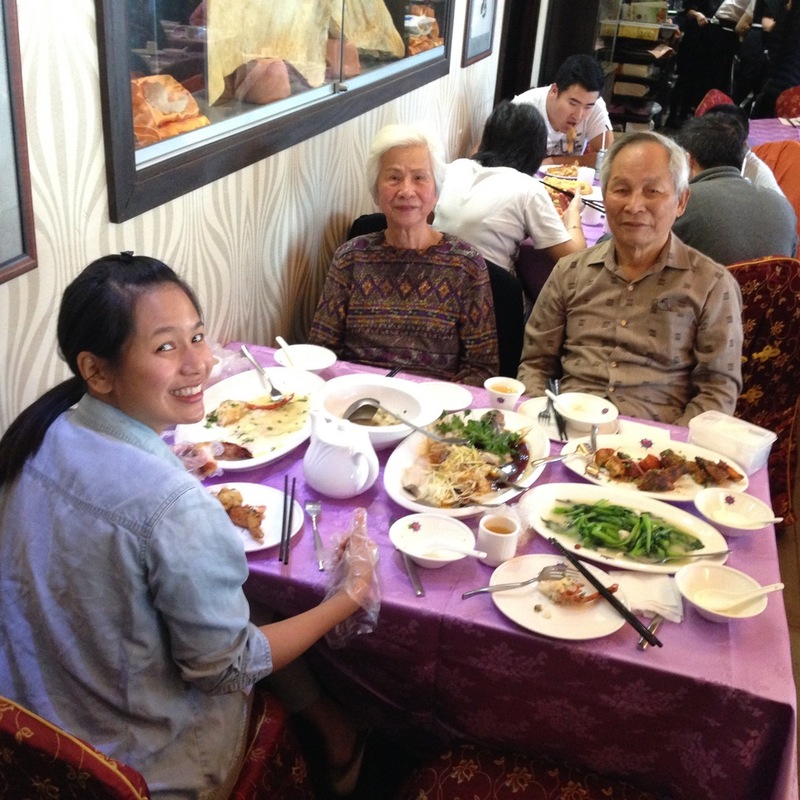 Recently I made a weekend trip to visit my grandparents in Toronto. They are in their late 80s, and both have heart arrhythmias. So even though they appear active and well, a part of me is always scared. I could never live with myself if something ever happened to them *knock on wood*, and realizing I was too self involved to make an 8-hour drive when I had a chance. Therefore before work gets busy, I had to see them. Seeing them was great, and as always helped me put things into perspective. I am reminded of what's truly important in life, and the problems I have all become so small. Each time I take away something different from my visit, and this time I learned to cherish and find beauty in the simple things. Sixty years of marriage later, they still show each other so much love and respect. They live a simple life, they own nothing fancy, just the necessities, but they have many treasures. It wasn't what they were showing me that was impressive, but it was seeing how they looked at things. They have a school bus photo frame with 12 slots containing childhood photos of their children and grandkids. They pull out that school-bus frame every time I visit, each time I am embarrassed at how dopey(though cute) we all look, but this was the first time I saw how they were looking at it. My grandpa stood there with a silent pride, and my grandma with the most loving of smiles. At that moment I thought "wow, this is one of the most beautiful things I've seen in a long time." But it was just the start. They then continued to point out house decorations which were handmade by their lifelong friends, trinkets from their long ago travels, and then the beautiful garden my grandfather works on year after year growing stronger. So with that, when I slowed down to look at things from their eyes, I was surrounded by beauty. I'm also convinced the stars shined brighter that night when I drove back to NJ. Sort of amazing what a shift in perspective can do. Last year I gifted a pair of Gloria earmuffs to grandma. However this time when I visited, she told me she hasn't worn them at all because she went back to Taiwan in the winter, and it is too warm for earmuffs there. The warmer weather is easier on their bodies, so they will be returning to Taiwan every winter from now on. She gave the earmuffs back to me saying that she wanted me to wear them instead and keep warm, but I told her I already had one of my own as it is a design I personally liked and kept for myself. So instead she asked me to give it to someone else. It has been a little sad because over the years I've been noticing my grandparents gift away more and more personal items that could be useful to those around them. They don't believe in being wasteful, and I admire that about them. So to respect my grandmother's wishes, we will be doing a giveaway of the earmuff and I will happily mail it for free to anywhere in the U.S.